For some brides-to-be, the shoes are almost as important as the dress. 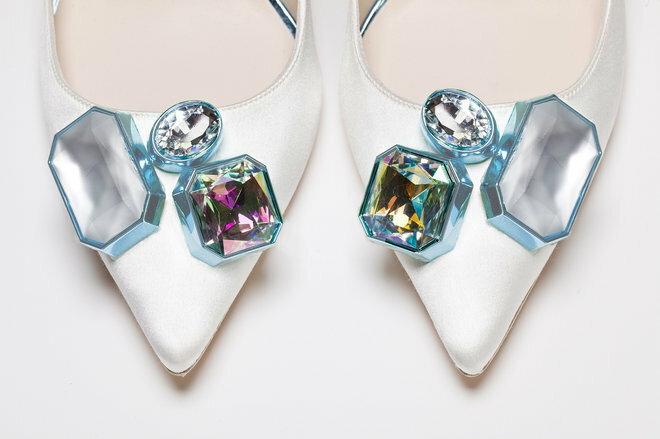 Shoe designer and overall shoe queen Sophia Webster’s new bridal collection will surely make every bride say “I do” to her shoes. Webster, who herself just got married last year, refashioned seven of her cult shoe styles, including satin pumps with glittering heels, bedazzled pointed toe stilettos and slingback mules. 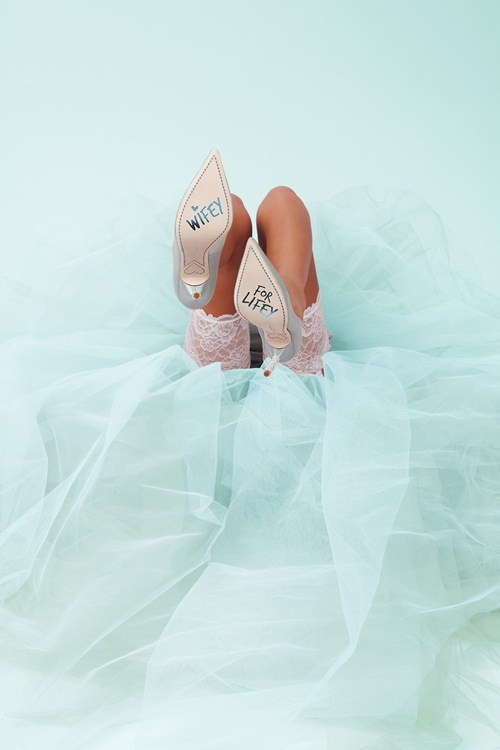 Webster kept the color palette classic with ivory and pastel hues, while adding her signature mark with fun accents, like pom-poms and the words “Wifey for Lifey” inscribed onto each sole. 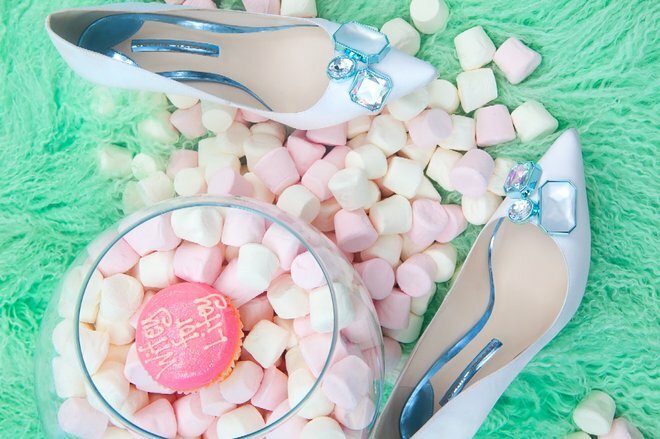 Sophia Webster’s bridal collection will range in price between $475 and $720, and will be available on March 20 at sophiawebster.com.